Christmas carols: Why do we keep singing “Jingle Bells” and “The First Noel”? Why do we keep singing them? At face value, the Christmas carol may be the least captivating style of occasional song. For an image of the world to come, look to the children: Recently Justin Bieber, the Western world’s choirboy igni ferroque, released his first Christmas album, combining traditional carols—“Drummer Boy,” “Silent Night,” and the like, performed in his signature reedy contralto—with some festive canticles not previously loosed upon the Earth. (From one track: “I don’t want to miss out on the holiday/ But I can’t stop staring at your face.”) Bieber has said that his goal in recording this music, which has already hit No. 1 on the Billboard charts, was to “work with people who had great experiences with Christmas albums.” This may strike some listeners as a quixotic ambition. 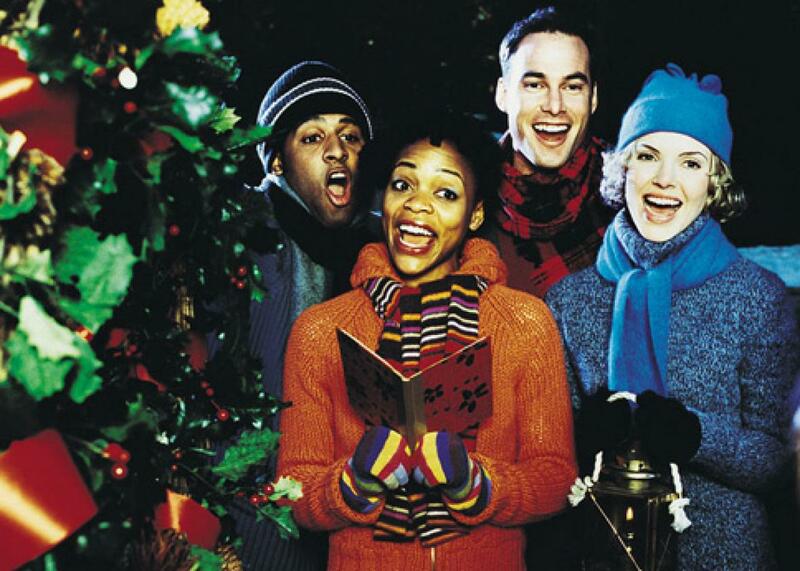 Christmas carols are, if anything, the visiting relatives of the musical world: They show up at the same time every year, stick around a little longer than one might prefer, and set the tone of virtually all family entertainment while they are in town. A December without them would be strange and slightly lonely, yet the prospect of their absence tends to be, by one week in, a reason in itself to look forward to the new year. Why have Christmas carols stuck around so long—and not just boldly, puzzlingly, recording-career-of-Tom Jones long but centuries, epochs, eons? Consider the bizarreness of the product at hand: At face value, the Christmas carol may be the least captivating style of occasional song. While other popular tunes arise from passion or desire, heroism or defeat, the Yuletide songbook is a catalog of modest thrills and postindustrial neuroses. A quick survey turns up portraits of manic stress release (“Jingle Bells”), overwrought hallucination (“Do You Hear What I Hear?”), complex Freudian trauma (“I Saw Mommy Kissing Santa Claus”), desperate midlife lechery (“Baby, It’s Cold Outside”), forced enthusiasm (“It’s the Most Wonderful Time of the Year”), and thinly veiled xenophobia (“Dominick the Donkey … the Italian Christmas donkey!”). It was apparently decided long ago that we can overcome these demons by frightening them away with feckless vocalization. Carol-singing, like drinking, accounts for a large part of boisterous group behavior in this country. If a large posse of merrymakers rings your doorbell in the quiet suburban night, there is an equal chance that you should call the cops or offer them a nutmeg-flavored snack. Consider, too, that Christmas carols have no obvious counterparts among the other holidays. Large group odes are not sung in anticipation of Memorial Day. Any ditties written about Halloween tend, rightly, to collect in the storm drains and the lint filters of our culture. What few songs flourish elsewhere do so in private, forgoing carols’ wide exposure in favor of smaller, more selective audiences. (“Dayeinu,” the Passover song, is thought to be more than 1,000 years old, yet shoppers are unlikely to find it piping over the sound system of Forever 21 anytime soon.) Why? Partly, this unobtrusiveness may be a gesture of self-defense: The Christmas-music empire has in the past been known to undertake bold conquest missions on its own behalf, laying claim to any tune that threatens its hegemony. “Jingle Bells” was composed as a Thanksgiving song but fell, like Carthage to the Romans, when it started to gain traction. Handel’s “Hallelujah” chorus, which is actually about Easter, came under Yuletide jurisdiction for the same reason. It is only right that other holiday ballads should steer clear of these rolling ballistae, just as it is right for members of the populace to question the carols’ high-stepping motives. Maybe we listen to Christmas carols because we want to. Or, maybe, we are simply not allowed to quaff our nog to any other kind of song. Given these questions, it is tempting to dismiss carols as a symptom of seasonal hype, of “the commercialization of Christmas,” or of other pestilences of the modern soul. Actually, their excesses are the opposite of modern. Christmas carols have always been the product of hype and invented ritual, nurturing false nostalgia almost from the start. If anything, their legitimacy as tradition has only increased in recent years. Today’s carols are one of our few genuine access points to the history of Western pop music, the centuries of mainstream fare buried beneath our own. An air of false exuberance has been the hallmark of Christmas songs as long as Christmas songs have been around. Although there are accounts of birth-of-Christ hymns being sung in second-century Rome—by order of Christian authorities, not public preference—it was not until the fourth century, when Christmas was formalized as a feast and fixed to Dec. 25, that a songbook started to take form. Some of the first contributions were existing, non-Christian carols adapted to the new celebration. The early church did not appreciate these pagan-Christian conversions and answered with hymns of its own. (“Veni, redemptor gentium,” or “Savior of the Nations, Come,” attributed to the fourth-century Milanese bishop St. Ambrose, may be the earliest still-extant Christmas carol.) Evidence suggests that people sort of hated these songs. The church-approved carols were in Latin and, in some cases, amounted to arcane doctrinal quibbles set to music. Christmas music swiftly became the yacht rock of the Dark Ages, proliferating in earnest even as it lost all public reputation. The man who freed the Christmas carol from this prison of poor taste was St. Francis of Assisi, one of the church’s gentlest but most crucial reformers. In the 13th century, Francis tried to break the Christmas celebration from its tedious husk, mostly by making the birth of Christ into a live theatrical event. He organized nativity pageants featuring real hay, real animals, and, for the first time, real music: Deviating from tradition, he allowed for narrative songs in audiences’ native languages, turning Christmas music into an opportunity for mainstream creativity. Drinking songs were given Yuletide lyrics (greatly to the church’s horror) and disseminated by traveling entertainers. Christmas began to take on a life of its own, beyond the exigencies of the sacred feast. Those halcyon days didn’t last. Martin Luther was a strong backer of the new, folkier Christmas music, which dovetailed with his new and folky thinking about Christianity, but certain of his disciples were not. Christmas in the English-speaking world died a second death when the Puritan movement—which did not believe in religious song, let alone general merriment—banned Christmas celebrations altogether in 1647 by Parliamentary law, with the support of Oliver Cromwell. Their suspicion of the holiday managed to cross the Atlantic as well. For a time, persons in the Massachusetts Bay Colony found to be observing Christmas (“consumed in Compotations, in Interludes, in playing at Cards, in Revellings, in excess of Wine, in mad Mirth,” to quote the complaints of the Rev. Increase Mather) faced a fine. It took the English-speaking world nearly 200 years to rediscover Christmas fully, and it happened largely through the songs. In 1822, the MP and amateur historian Davies Gilbert published a compilation of “ancient Christmas carols”; 11 years later, a second, still more influential volume by another compiler, William Sandys, publicized several tunes still sung today, including “The First Nowell, the Angel Did Say” and “Hark the Herald Angels Sing.” Then came the royal intervention. In 1840, Queen Victoria married Prince Albert, a German who made it one of his projects to import Continental-style Christmas as “an echo of … the old time, of what we thought and felt”—in essence, to invent an English Christmas tradition where little had previously existed. Among the subjects to embrace this change was the young writer Charles Dickens, who, in 1843, published A Christmas Carol as a blow against the grim, Puritan-inflected holiday. In some sense, the most crucial character in the book is neither Scrooge nor Tiny Tim but the Ghost of Christmas Past—a revisionist tour guide whose voice allowed Dickens to describe a history of festive, music-infused British Christmases as the norm. The Christmas of the 20th century—festive, secular, obsessed with tradition—is an extension of this Victorian holiday, just as modern carols are an outgrowth of its 19th-century tunes. No Christmas song may embody the holiday’s self-perpetuating narratives better than “White Christmas,” a secular anthem that the Jewish Irving Berlin, who did not much care for the holiday, wrote early in 1940 in a spirit of some irony. Slate’s Jody Rosen, who published the definitive biography of the song, has described how this wry hymn became an earnest Christmas standard and “the biggest pop tune of all time” thanks in part to growing cultural nostalgia and the homesickness of wartime soldiers. This sort of approach grew into the norm, and a new generation of carols rose by appealing more to the Yuletide mood than to the holiday itself. Today, in fact, an important feature of Christmas carols is that they are only nominally about Christmas. Listeners faced with the full canon might distinguish between sacred songs (those that make some mention of Christ’s birth) and secular ones (Santa Claus, snowmen, mistletoe, “cheer,” and all manner of wassailing), but this is like insisting on a basic difference between hot cross buns and Danishes. Both are iced and sweet and good for a light meal with coffee. “Christmas spirit” sounds like a vague and euphemistic term, but it conveys the loose relationship these tunes have to the details of the holiday at hand. Instead, they offer us a story of their own development. The 21st-century Christmas-carol listener has an anchor line cast into Western history: In no other context do most of us find ourselves using wishing for sables and light-blue ’54 convertibles, deploying 19th-century regionalisms like “upsot,” and gathering to perform plainsong chants in premodern modes. Carols carry us back to a time not merely before Shakespeare but before Beowulf—and then to many of the eras in between. When people speak about the “Christmas spirit,” they mean a form of reassurance virtually expunged from modern life: the comfort of continuity, the pleasure of return, the knowledge that not everything we have will one day disappear. Christmas carols are our mainstream widow to the past and, as a consequence, the closest thing we have to a guarantee of our own era’s future.